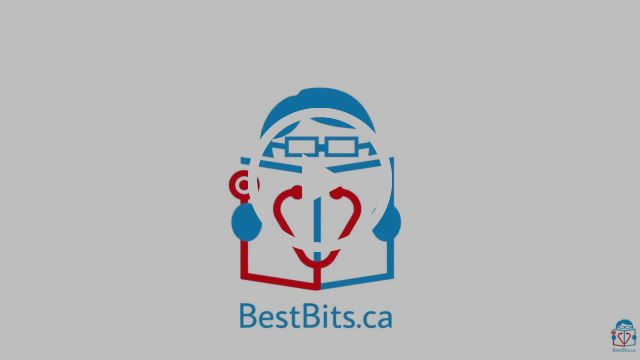 BestBits.ca is an online Journal Review and Virtual Journal Club. 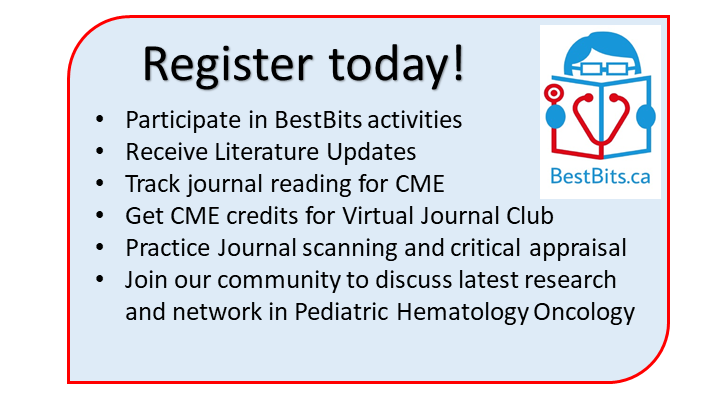 Journal Review: BestBits of the Literature is a synopsis of current literature in Pediatric Hematology & Oncology. The articles have been selected from clinical and scientific journals, and represent high impact research that may influence the current and future practice of Pediatric Hematology and oncology. Short summaries are presented with the reviewer’s conclusion on the impact of the findings. Virtual Journal Club: Featured articles are discussed in our Online Journal Club. Registration is currently open to physicians and other healthcare professionals with an interest in Pediatric Hematology/ Oncology internationally! You can tailor your registration preferences to receive bimonthly updates, be a journal reviewer and/or virtual journal club participant. You can update your preferences at any time. BestBits.ca is an initiative to promote literature in Pediatric Hematology & Oncology. All interpretations and recommendations expressed on this website are personal opinion and do not replace professional judgment and individual decision-making.